For the 2010 November CTMH Spotlight Blog Hop we are featuring a variety of different Christmas stamp sets all by Close to My Heart. There are so many different ones to choose from that are perfect for those Christmas cards, layouts, and other projects. If you are starting here, continue through all the blogs and once you make it back here you will have visited all of them. If you are coming from Kristi’s Blog you are on the right path. I really wanted to do a layout for this hop but couldn’t find ANY unscrapped Christmas pictures so I had to go with my second choice which was cards. Then I decided to make a variety of very simple cards. These will be very easy to duplicate for those of you short on time (which is most of us this time of year!). 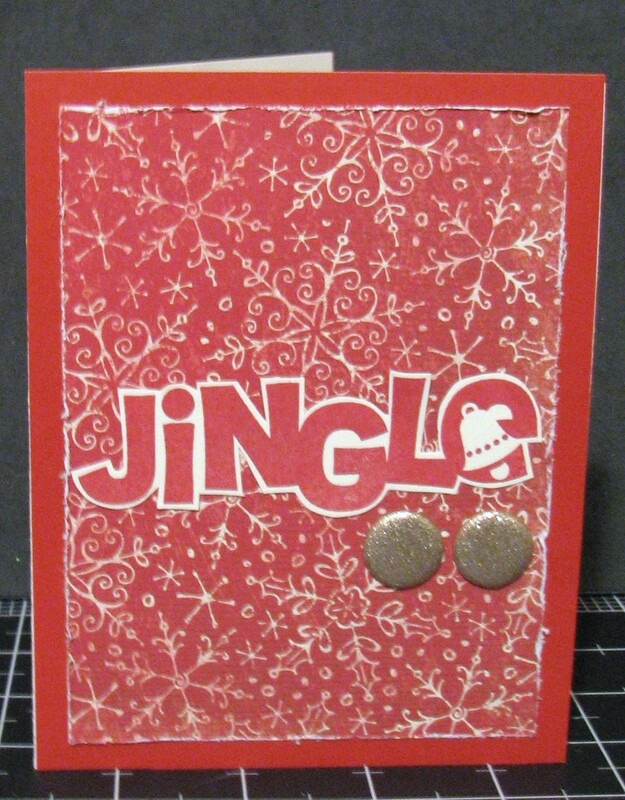 Supplies used are all CTMH: Mistletoe Paper Packet, Holiday Jingle stamp set, Shimmer Designer Brads, and Cranberry ink. I distressed the edges of the B&T paper using the edge distresser. I used Twisted Card Sketch #033. 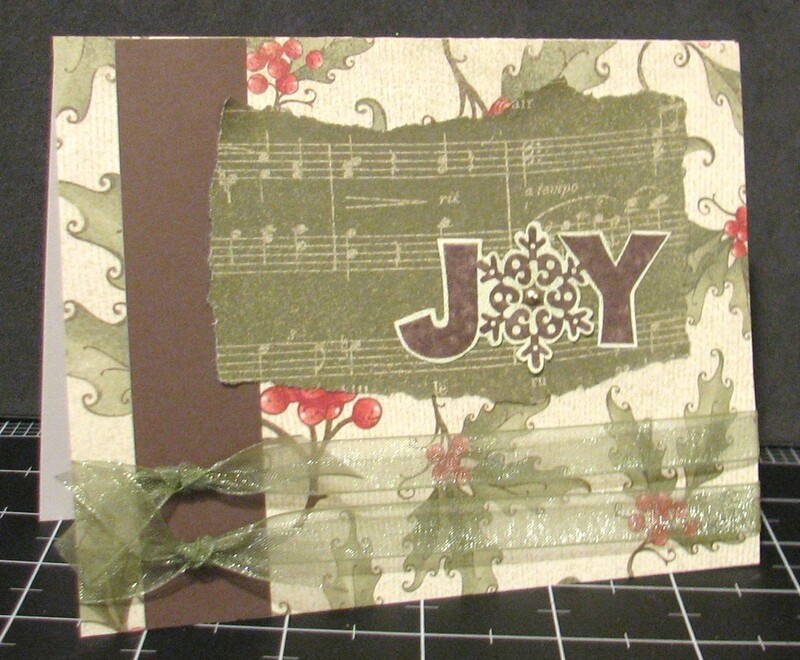 Supplies used are all CTMH: Mistletoe Paper Packet, Holiday Jingle stamp set, Ribbon Rounds Holiday Collection, gold bitty brad, and Cocoa ink. I stamped on Colonial White cardstock then sponged with New England Ivy ink so it wasn’t such a strong contrast on the card. 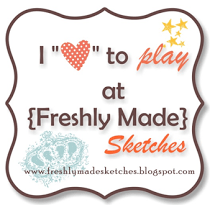 I used Sketch #128 from Friday Sketchers. Now continue to Tracy’s Blog!